The Turquoise Reference Bible was originally created in the 1920s and has stood as a superb and well-loved example of classic Cambridge typographic design for ninety years. 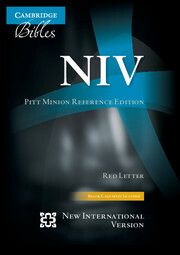 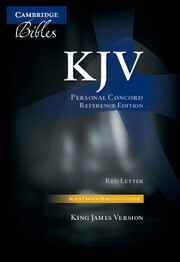 The text is presented in a large, bold, traditional typeface, with cross-references and the words of Christ while on Earth are printed in red. 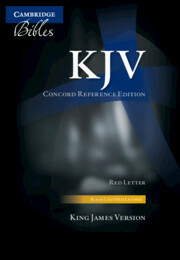 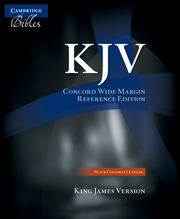 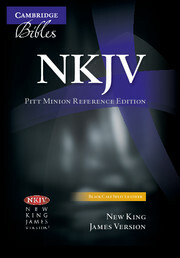 For this edition the concordance has been freshly typeset, and it also includes a map section and the Translators' preface, their compelling account of the principles underlying the publication of the KJV in 1611. 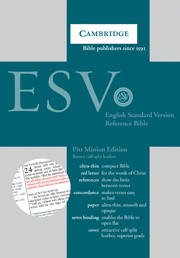 The Bible is printed on fine India paper and fully sewn, allowing it to lie flat when in use and adding extra durability. It has gilt-edged pages and is bound in black calf split leather. 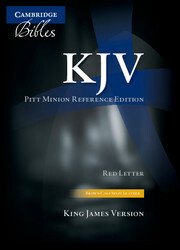 The large format, superior materials and manufacturing excellence make this a perfect choice as a Family Bible or a desk or presentation Bible for those in Christian ministry.